The project receives the first in a series of critical grants to transform an abandoned parking lot into a neighborhood park. 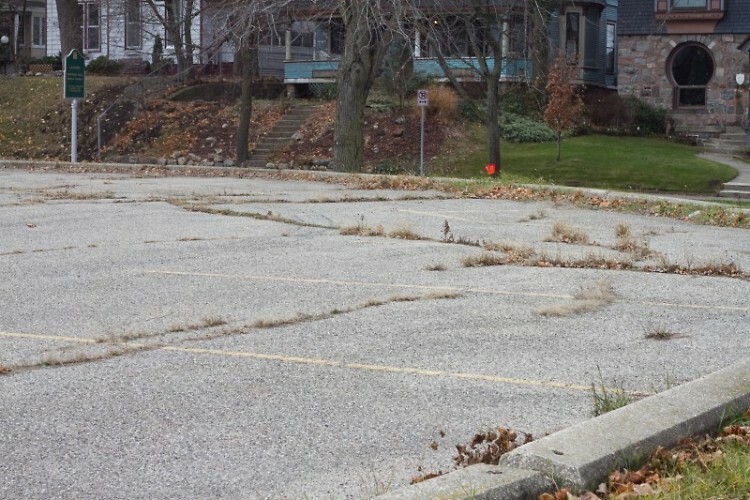 The Michigan Natural Resources Trust Fund (MNRTF) has committed $300,000 of the total $731,00 needed to convert an empty 2.3 acre parking lot at the southeast corner of Madison Avenue and Pleasant Street to a fully functional neighborhood park. The parking lot was previously owned by Kent County and used by the Department of Human Services until they relocated in 2009. 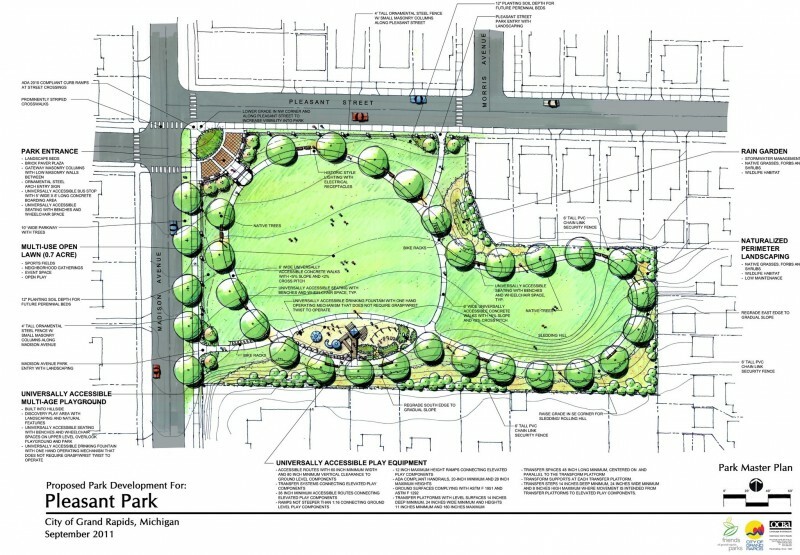 The City of Grand Rapids acquired the lot that year, and it was quickly the subject of a series of public park planning charrettes organized by the City, Friends of Grand Rapids Parks and the Heritage Hill and South Hill neighborhood associations. 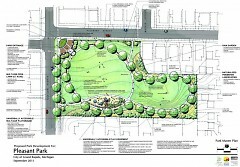 The City has designated an additional $112,240 in the form of a Community Development Block Grant to the project. The remaining funds needed to complete the park and establish a maintenance endowment will be raised through a combination of private fundraising and philanthropic gifts. Heritage Hill Neighborhood Association has already set up a website soliciting donations for the project.